Calling all volunteers to help plant trees for the largest volunteer tree planting event to date with TreesDavidson . 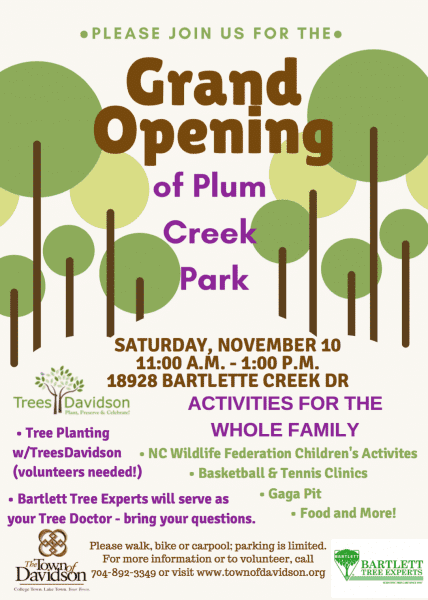 The Grand Opening of the town’s newest park, Plum Creek Park, is Saturday, November 10, and the park will be graced by beautiful, newly planted trees…with the help of volunteers. Please contact Gordon Clark for more details at 704 677 3065.